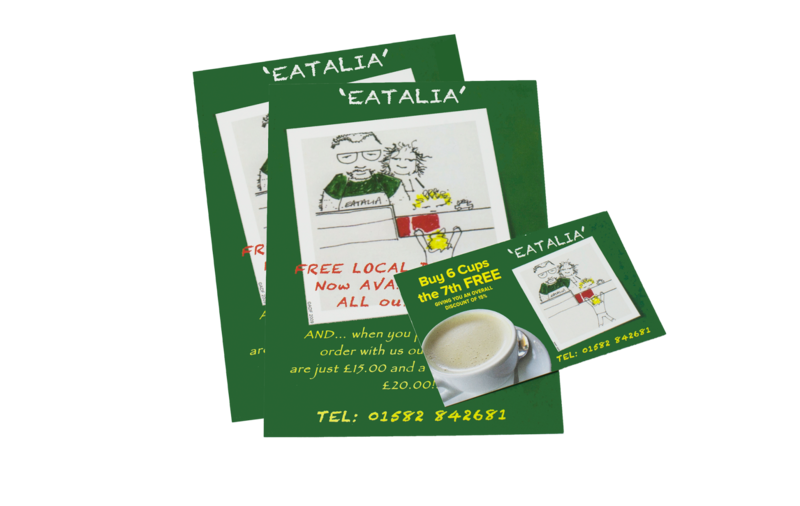 When it comes to artwork and design we cater for a range of requirements and budgets. 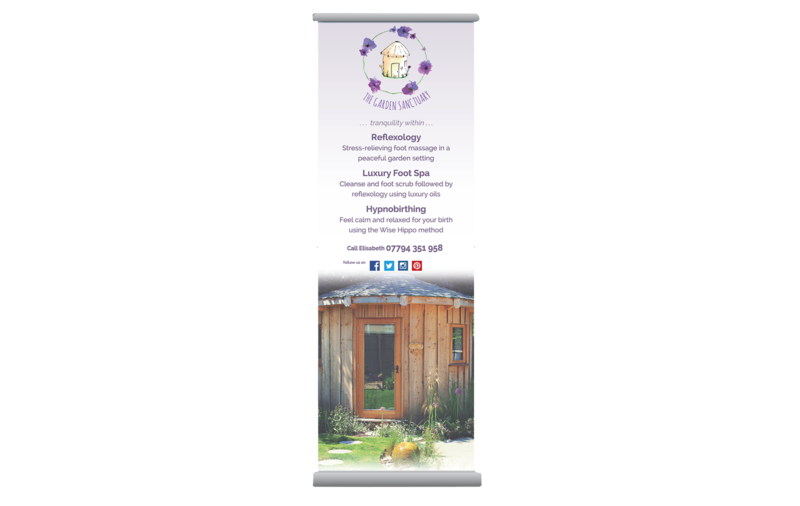 Products we are regularly asked to produce include; business cards, brochures, flyers, labels, posters, roller banners and wedding stationery to name a few. 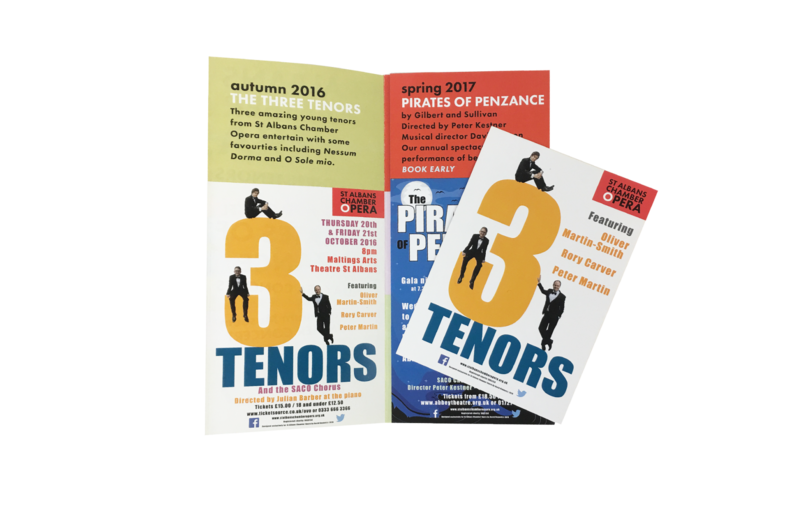 Brochures, Books, Catalogues and Magazines are all great ways to provide more detailed information about what you do or offer. 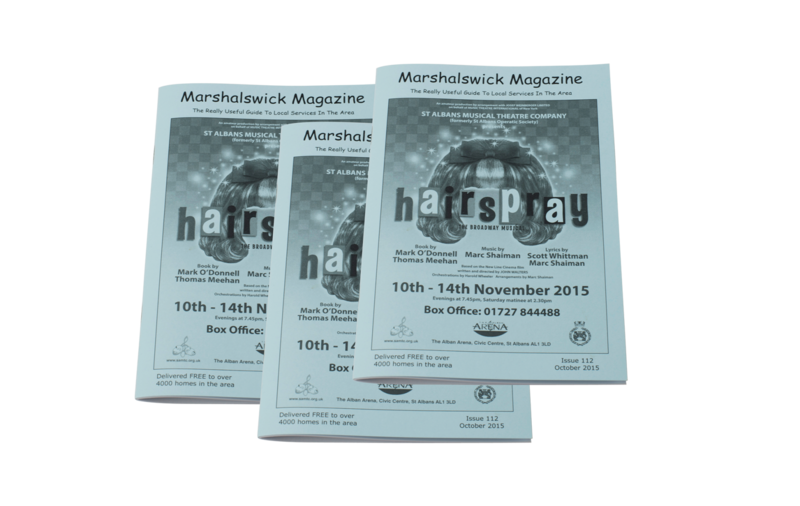 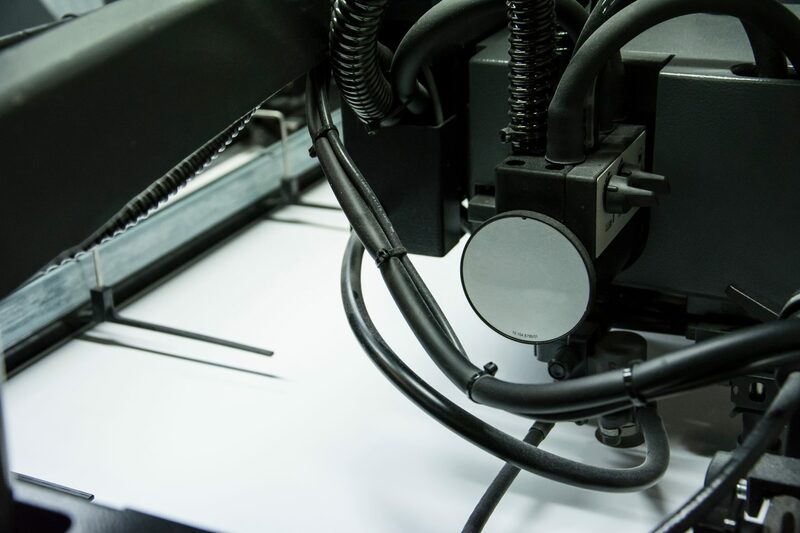 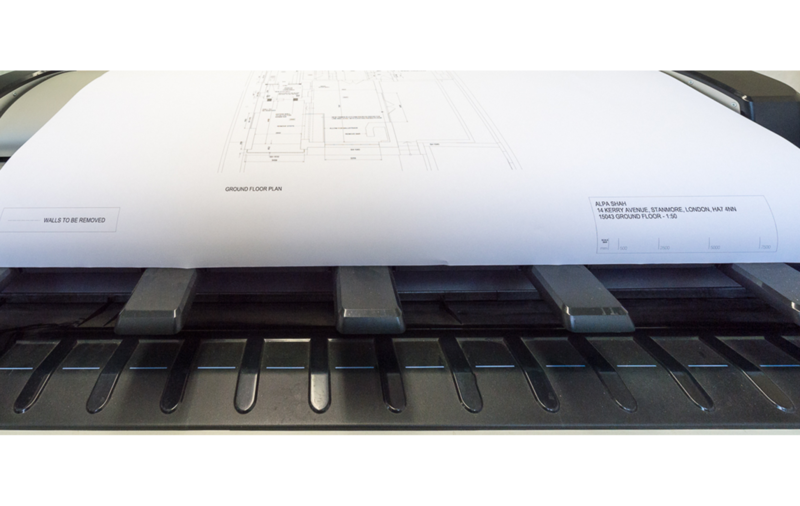 Starting from just four pages, printing in either colour or black and white, we can work to standard or custom sizes. 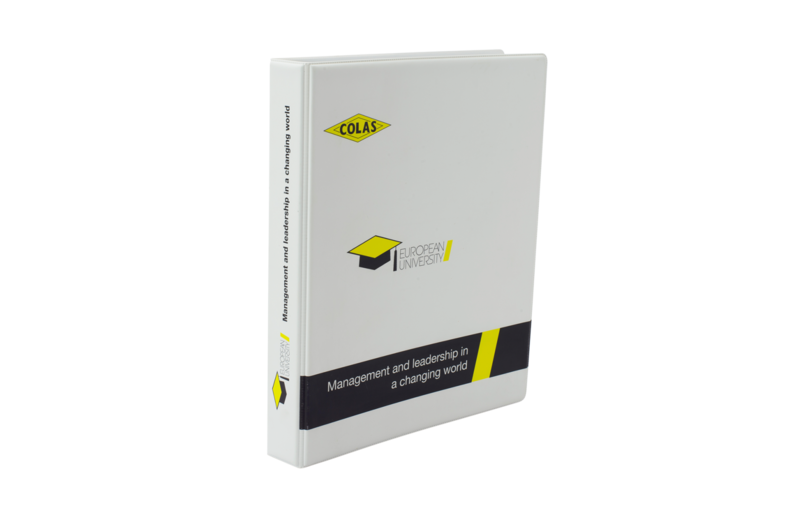 For binding we offer the option of Saddle Stitch (Stapled) Wiro or perfect bound depending on your requirements. 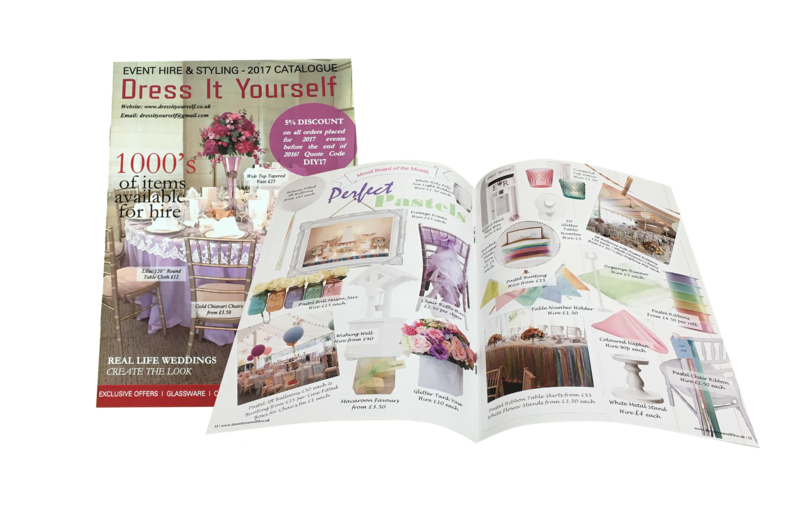 Help your business stand out from the crowd and show off your personality. 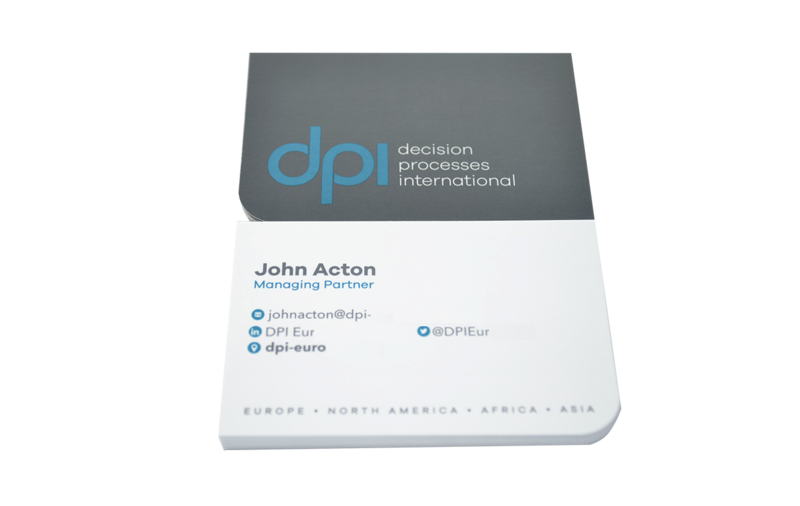 Using 400gsm stock as standard we offer a range of different business card finishes including rounded corners, lamination, spot UV and foiling. 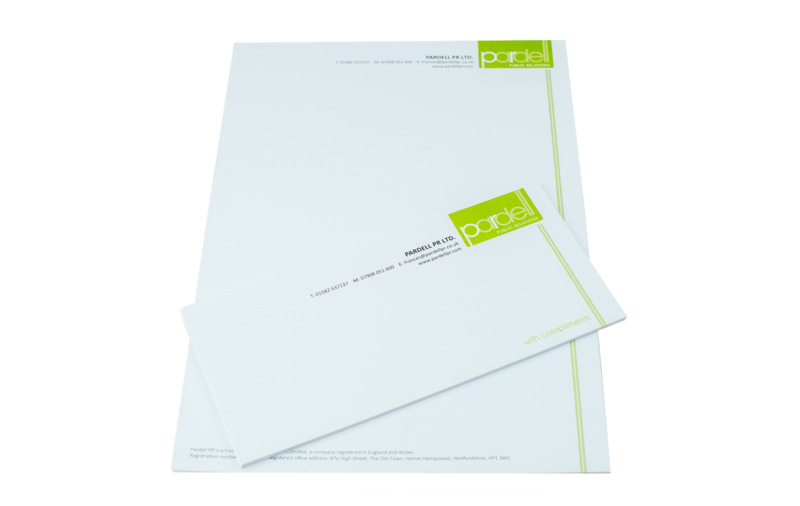 We also produce printed stationery comprising of Letterheads, Compliment Slips, Labels, Envelopes and NCR Pads. 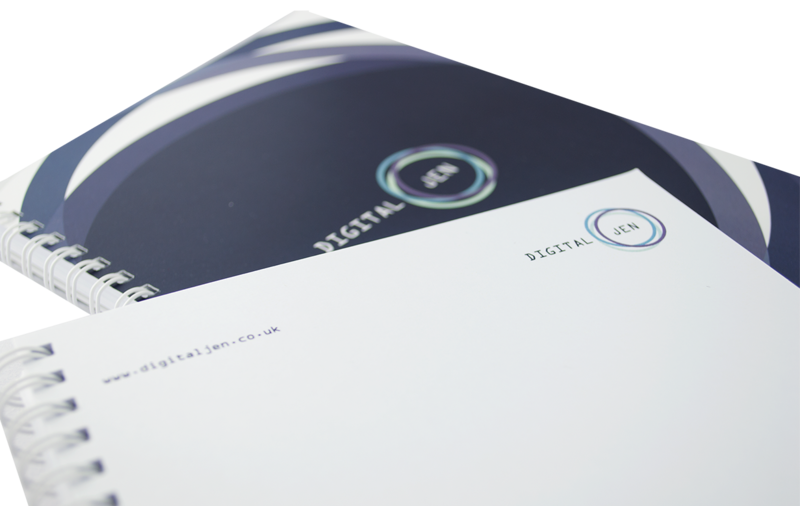 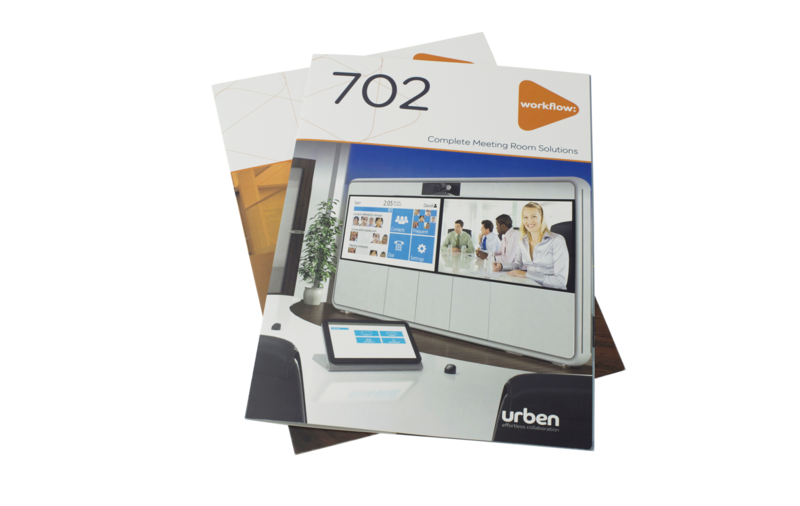 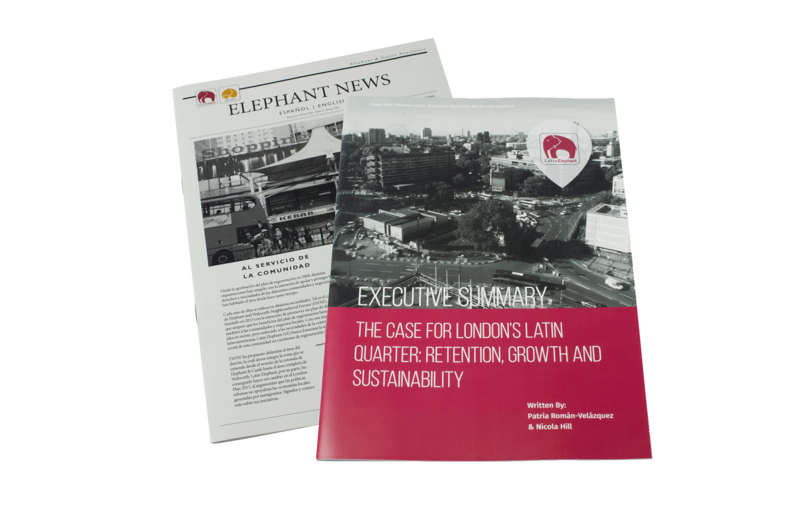 Strengthen branding and communicate your company’s messages with expertly printed Corporate Literature. 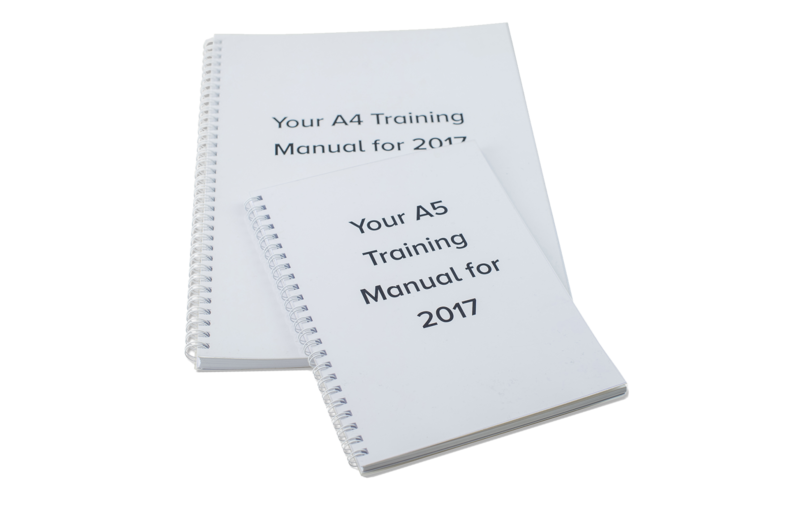 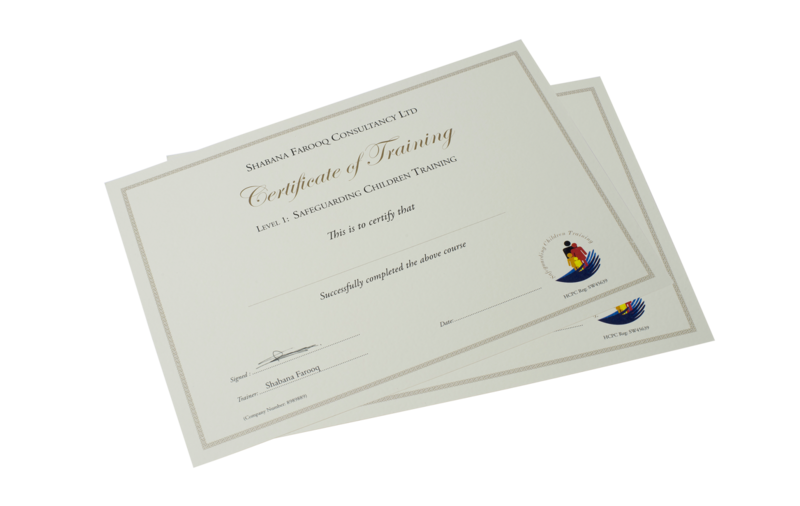 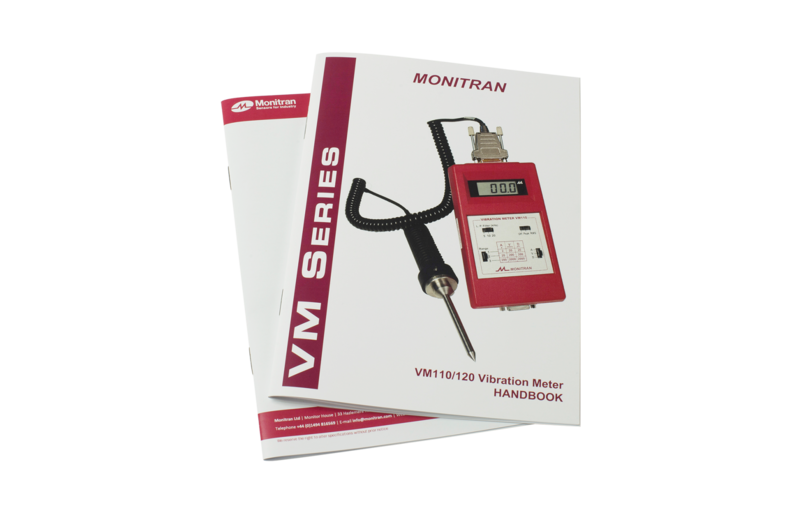 We print a range of items including corporate presentation books, brochures, annual reports, executive summaries, case studies, newsletters, policy books / handbooks as well as training manuals & certificates. 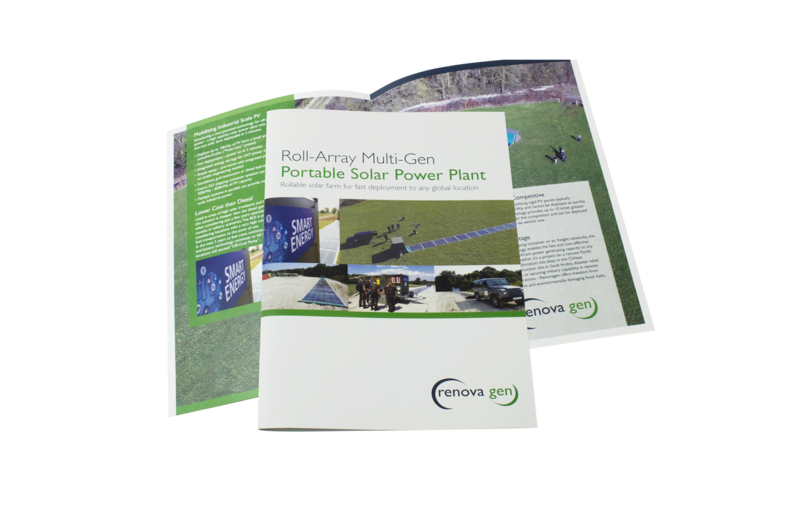 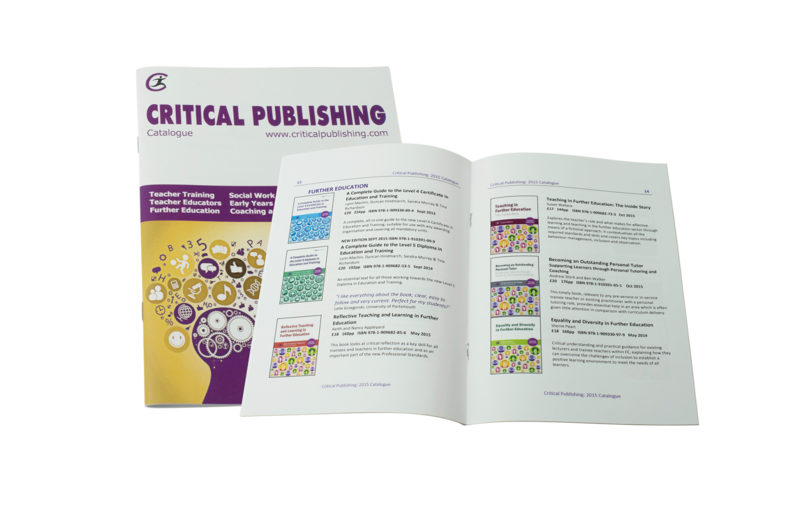 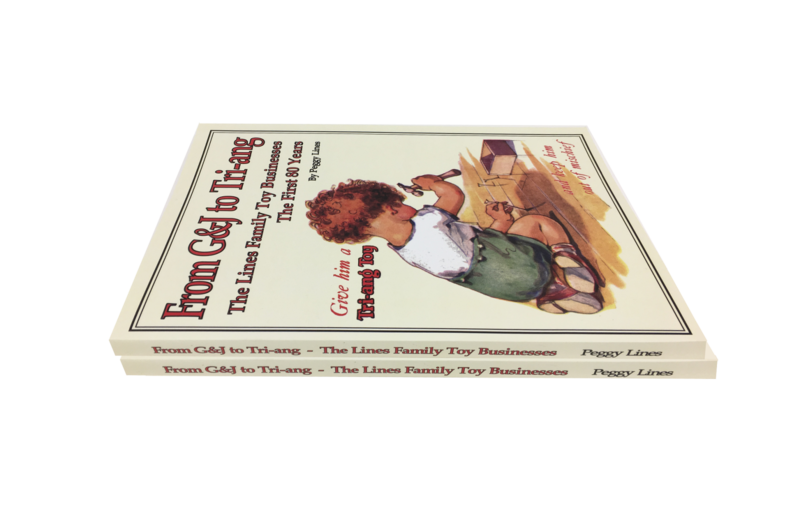 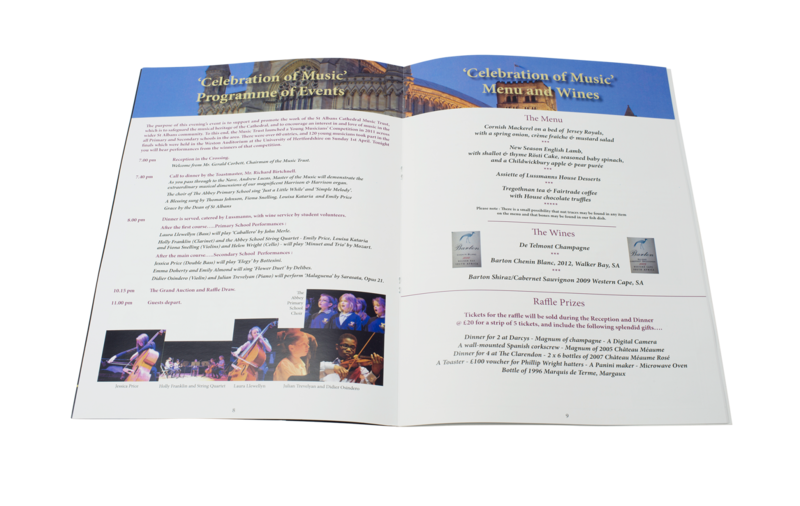 This is our most popular category and covers a wide range of collateral with enormous possibilities . 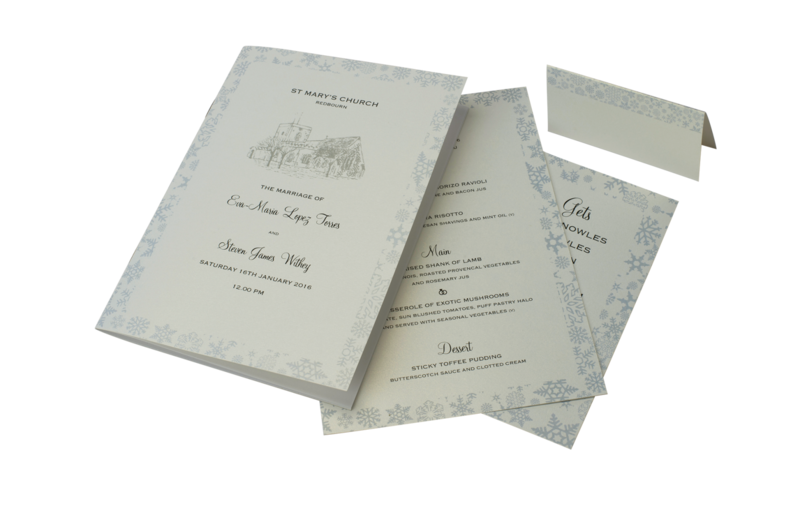 If you have an idea of what you are after please do talk to us as we are used to creating bespoke items. 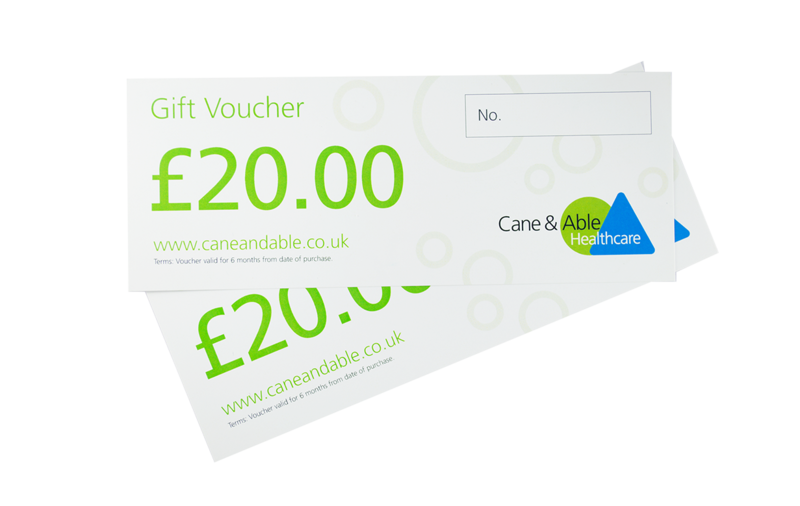 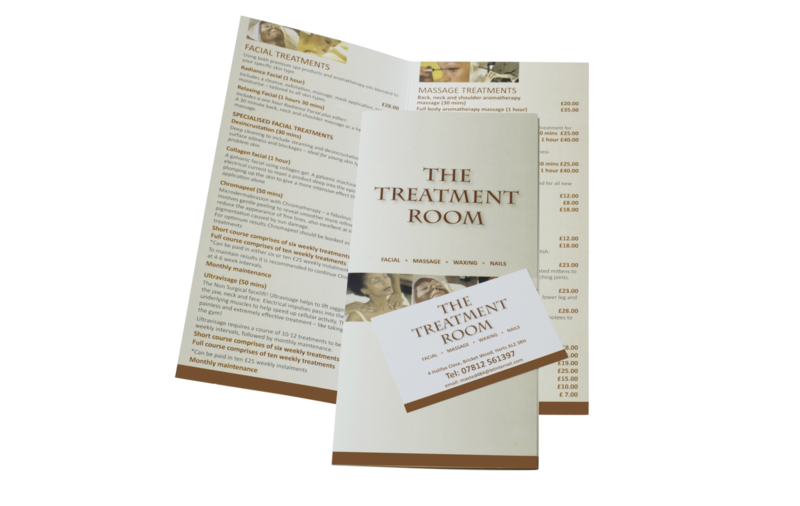 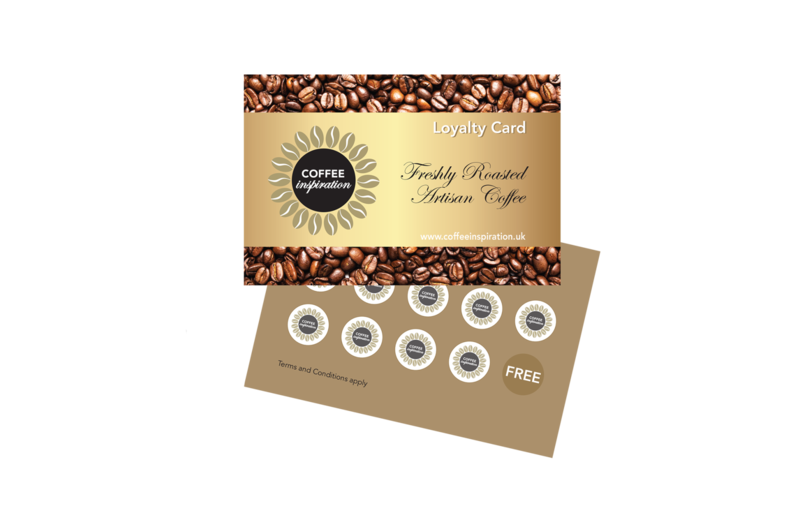 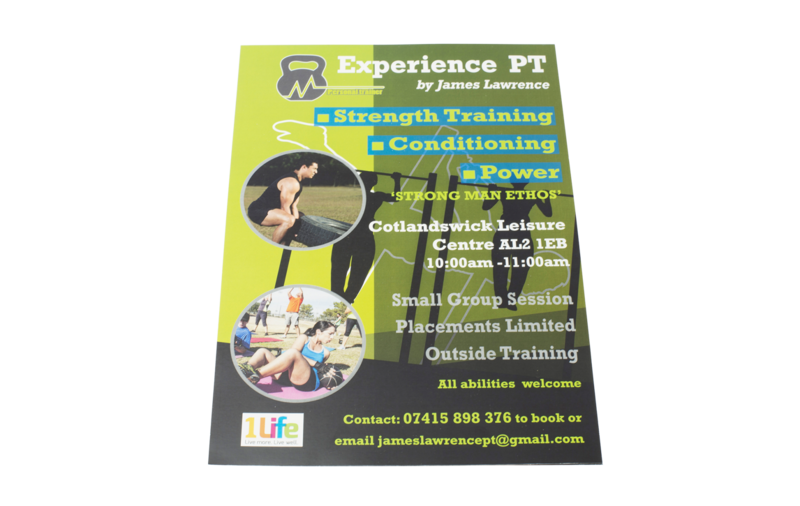 Typical items we produce include leaflets and flyers, pricelists, loyalty cards, posters, stickers, note pads / desk pads and point of sale items. 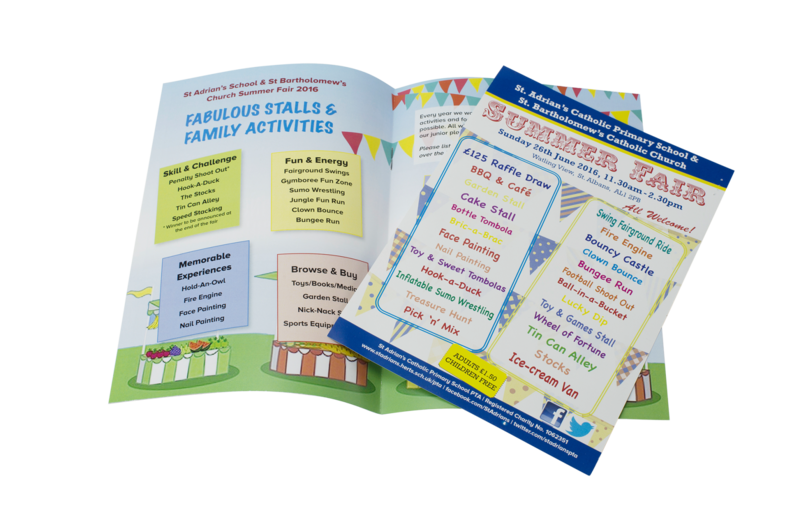 Targeted marketing for seasonal events and celebrations can provide a real boost to your business. 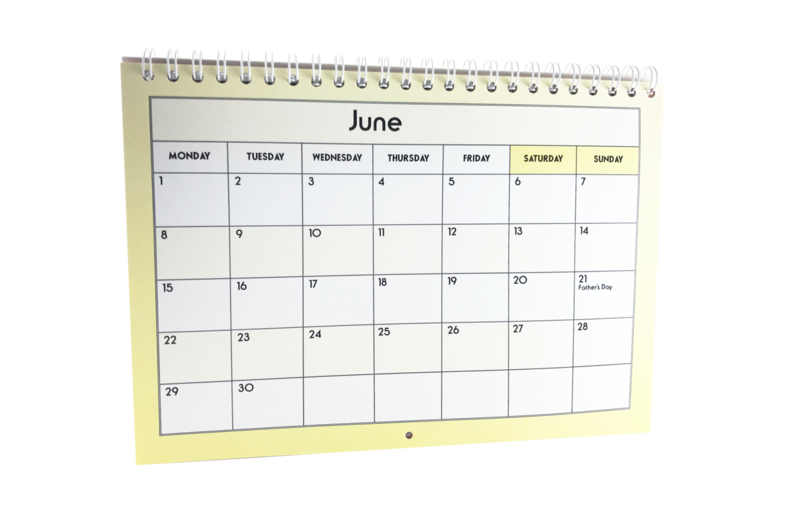 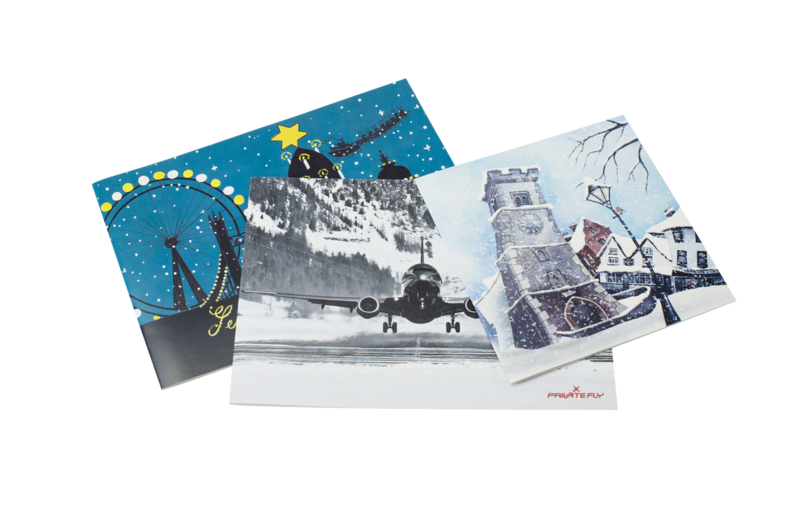 Popular items are calendars, greeting cards, postcards, and vouchers. 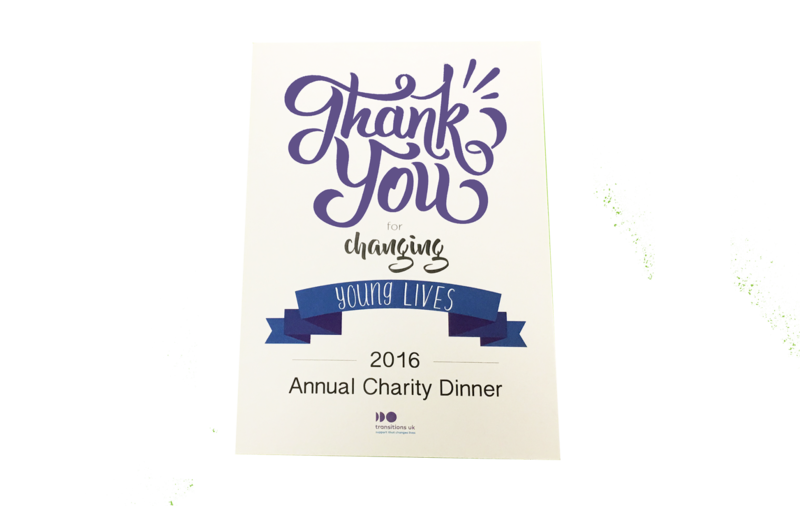 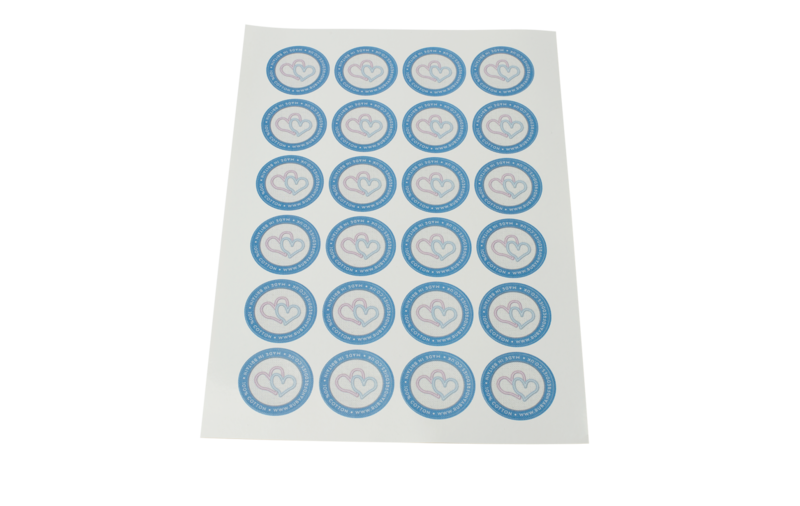 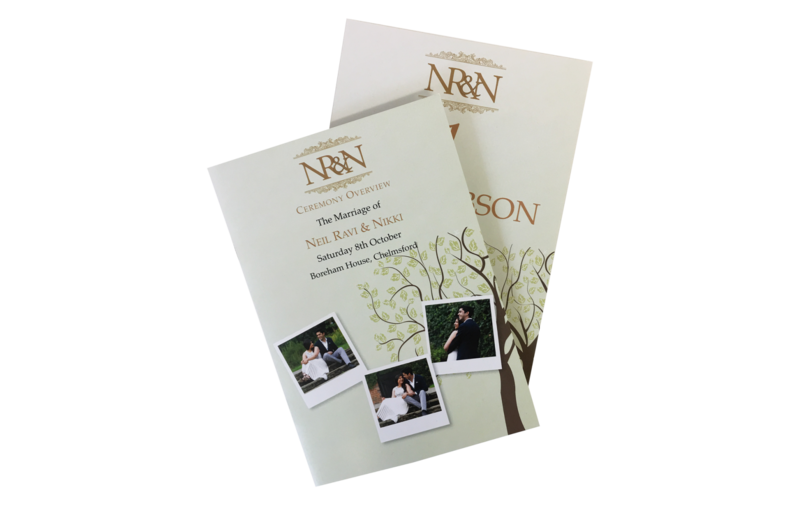 We regularly print event stationery for businesses, weddings and funerals. 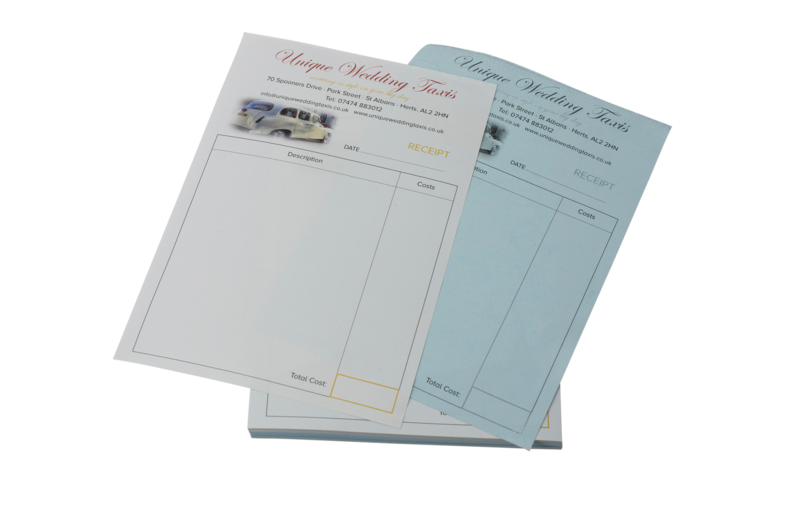 This often includes save the dates, invitations, menus, table plans and order of service. 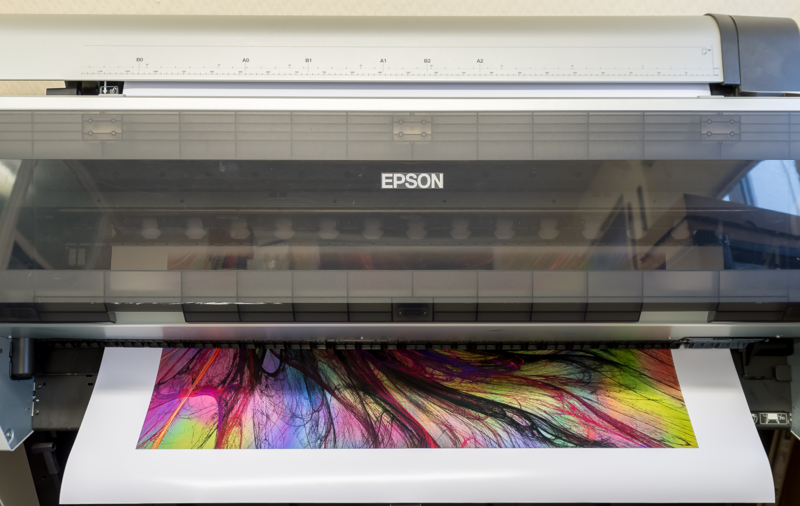 Typical wide format printed items include high quality posters, exhibition graphics, banners and point of sale. 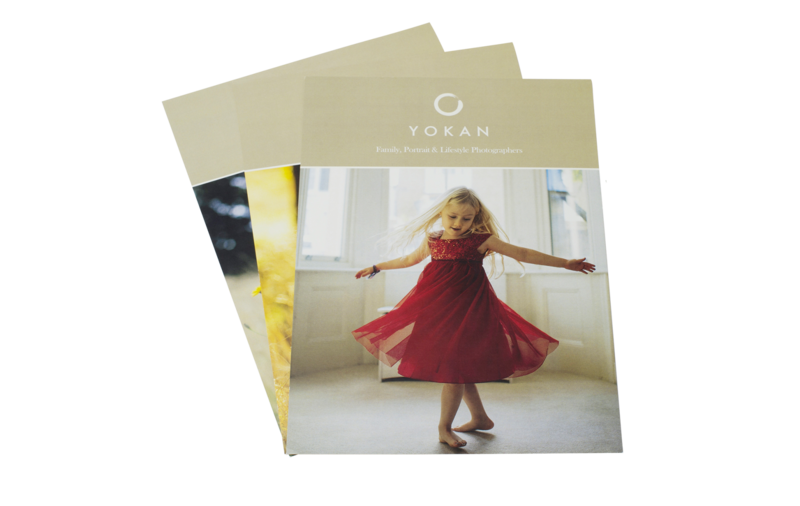 We print on various media including canvas. 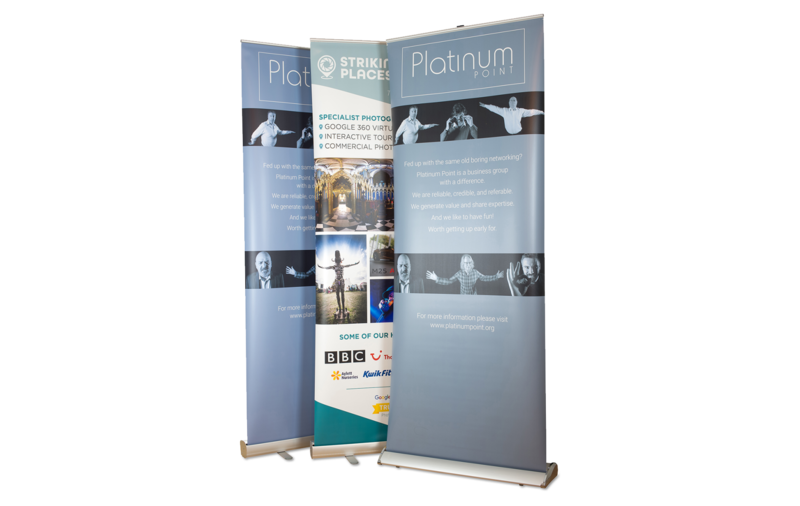 We are able to mount the posters / graphics onto board, this works well for indoor signage, exhibition panels and event items such as table plans.